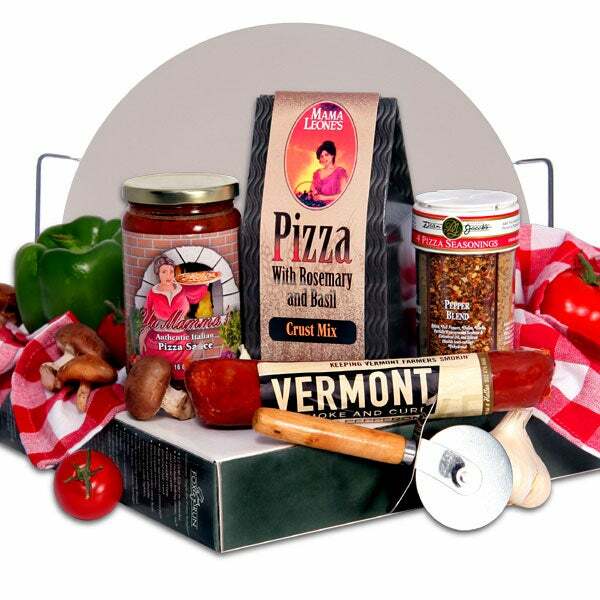 Since basically everyone is crazy about pizza, we decided to make this fun gift, which boasts everything needed to perfect the Italian classic! It’s complete with a selection of gourmet ingredients, including a mix for rosemary basil crust, zesty pizza sauce, and smoked pepperoni, which are arranged on top of a 12-inch pizza stone, creating a wonderful gift makes pizza night better than ever! Pizza Crust Mix by Leonard Mountain - 17 oz. Vermont Smoke & Cure Smoked Pepperoni - 6 oz. 4 Cell Pizza Spice Jar - 3.13 oz. Pizza Sauce by Ya Mamma's - 16 oz.